A unique and a beautiful way to fix notes, lists and other important things to your fridge. 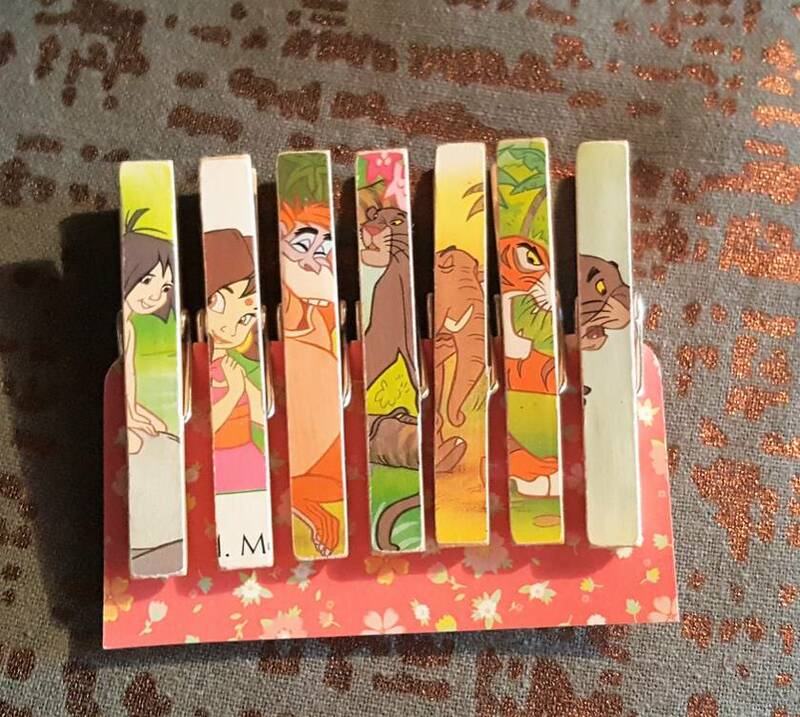 This is a beautiful set of 7 pegs which have been decorated with pages from The Jungle Book. Each set contains 7cm pegs which are backed with a lightweight magnetic strip. 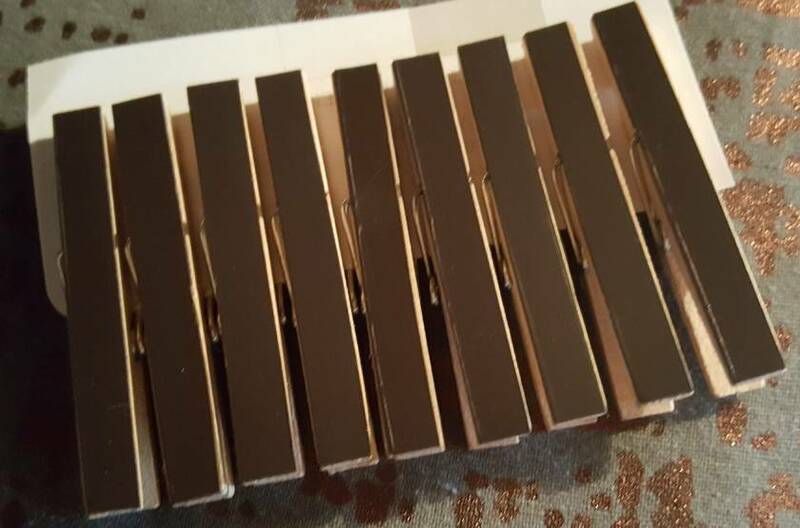 Each peg has been lovingly finished with water-based, non-toxic sealant. Please note pictures are used for reference only however you will receive pegs Decorated from book pages of the chosen book.